The Conservancy was formally established in 1996 by a group of concerned residents who felt that the natural environment of the Dolphin Coast should be protected. A Constitution was drawn up and adopted in 1997 and the Conservancy registered with the KZN Conservancies Association. The Dolphin Coast Conservancy acts as the eyes and ears of this stretch of coastline. Meetings are held every two months at the Striders club house in Ballito, the date and times of which are published in the North Coast Courier. Coastal Conservancies are a fast-growing group of NGOs in KZN, who differ from the Terrestrial Conservancies which are the more traditional bodies of the Conservancy Association. We too act in close cooperation with eKZN Wildlife, but predominantly with the Marine Officers who are the official conservators of our area. 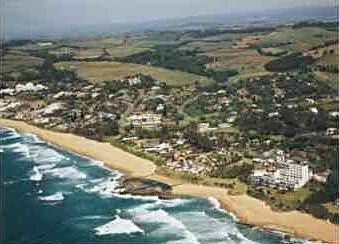 The Dolphin Coast is officially defined as the region between Zimbali in the south and Tinley Manor to the north. Loosely, our area extends to the N2, but we frequently do projects for Arbor Day, Earth Day, etc. with schools in other areas to the west of the N2. For queries, complaints or suggestions, contact the Chairman, Di Jones on 032 525 8160. Dolphin Coast Conservancy is extremely grateful to Ken Mann of ACE Photography, Louisa Stranack of Capturesa Photography and all other members who have contributed the pictures used on this site.